Have you considered opening a car auction business? Do you have any experience in this field or have you ever worked in any car dealership store? If most of the answers are in no, then you definitely need to attend trial auctions as you cannot expect to start a business about which you don’t have the slightest experience. Nowadays, many people are opting for this business, as it is supposed to bring in much profit in a less amount of time. It is necessary that you have the passion for cars; otherwise it would be quite difficult for you to have a foothold in this business. It is necessary that you have some knowledge about cars. 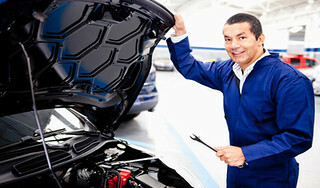 Make sure that you employ people who have a sound knowledge in this field, for example experienced car mechanics. Most of the times, owners make the mistake of buying cars without accompanying their best car mechanic supervisor. If you are new to the business, the car sellers will definitely hook you up with cars that are either too old to drive or have some sort of internal damage. It is necessary that you check the resume well before hiring salesman for your business. Try to hire professionals who have an experience in this field. One or two experienced sales man is far better than hiring a bunch of fresher people. However, you can employ college students on part time basis. The main reason behind hiring them is that they are always full of life and can instigate energy in your work place. It is also necessary that you train these young people to help your business in the coming days. It is very necessary that you plan your business before hand. There are many websites, where you will be able to find a number business plans for your business. Many people have smelled the scent of success by following the business plan minutely. Business plans help you to analyze the costs of establishing and how you can make profit within the first year of establishment. It is very necessary that you buy the cars from reliable sources. 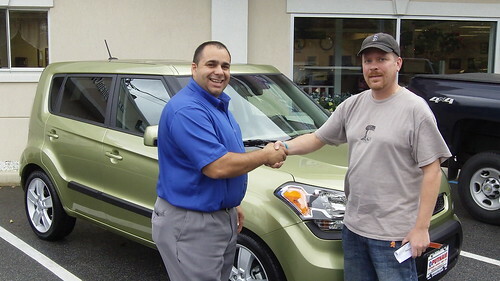 It is not good to regret after buying a lot of cars from a forger. Always remember that you can achieve prosper in your business by making your client and customers happy. A happy customer will automatically spread a good word about your business. Therefore, it is quite necessary that you reward them with special gift coupons once in a while for their loyal support. It is necessary that every business official conduct events and social parties before establishing a business in the locality. Try to connect with the people from the very first day. You can also provide your clients with 30 day car warranty periods for used vehicles. It is best to take tips from experienced professionals in the business for running the business in profit. Try to build your ownership qualities from the very first day. We hope that the article seems of any help to you. Alex Mathew is a proficient author writing articles on auction of second hand cars and other similar topics. He contributes regularly for second hand car dealers. Summary: Car auction business is tricky and needs dire determination for perfect administration. Hiring an experienced sales team is very essential to run it flawlessly.